Playing the piano is good for you, and it's your birth right! With PianoEasy anyone can learn to play the piano! Like trees, bushes, flowers and grass all growing out of the same soil, all beautiful in their own way, you will grow to your own unique perfection. Start! Keep playing! And find out who you are making music! Find out more about the PianoEasy method of teaching below. There is no better instrument to learn music on than the piano, with that wonderful visual piano landscape of two black, three blacks. It's that pattern that makes it so easy for our brains to grasp song after song and learn to understand how Western music works. Right from the beginning you will work with the mechanics of how pianos work helping you develop excellent technique. You'll be learning about the intervals between notes, which are the same in the fingers, on the piano, in the chords we learn and on the treble and bass staves of the sheet music. In the long term you will learn everything there is to playing the piano and appreciating music. You will understand the theory of what you’re playing and why it sounds and works like that, but always explained in context of the songs you’re learning. As each PianoEasy player is different over time all develop to their own unique perfection, with their own unique repertoires, playing styles and preferences. PianoEasy brings in the reading in the second term, when you already know all your notes and chords. This is much more natural and effective than when piano teachers used to teach music by teaching people how to read first. Imagine if we taught our kids how to read and spell in order to learn to talk, and have them only speak from a script. That wouldn't feel like you're naturally expressing yourself and tapping into your creativity. PianoEasy players commonly become much better readers than people who have only learned how to read, but who often don’t quite understand the patterns in the music, the landscape they are working with and the common progressions that the music provides. Do you wonder who you are with music? Would you be a composer? Or someone who likes to have a repertoire of pretty tunes, or someone who likes to play around and sing with pop songs, or read classical music or movie tunes. Come and find out what "rocks your piano boat". Like with language, music is best learned with others. It's more fun and you'll become a much better player that way. 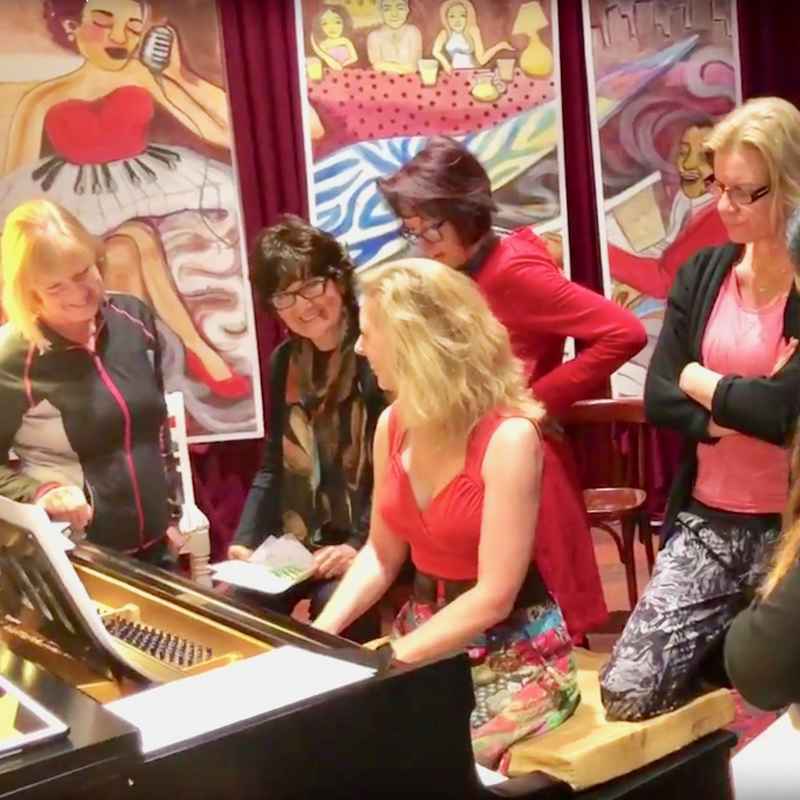 Find yourself some people to learn with, and / or join a PianoEasy class. Within a term everyone knows all their chords, so you can sing and accompany yourself with any song you like. You will have a repertoire of up to ten songs; some blues, some classical, some sing along, some jazz. And you will know how to change and express songs to play them your own way. Within a year of lessons people have a nice individual repertoires. They'll know how to to go about reading music, memorising, improvising and composing and arranging their favourite pieces. 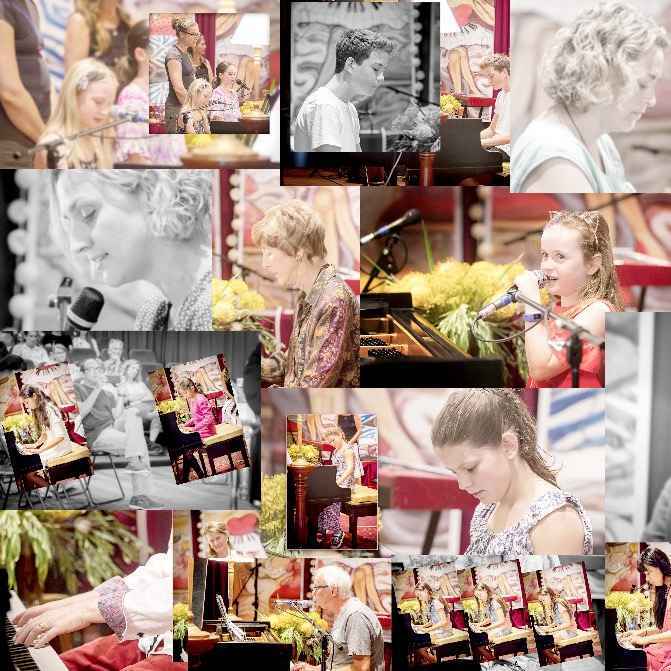 After two to three years everyone is really good and set to play the piano for the rest of their lives. You will have your own beautiful style, based on your own tastes and interests. After five – seven years you will be a superb player, able to do anything you like. You may well decide to become a PianoEasy teacher.